Once again I am blown away by your generosity. I received 6 more quilts last night, which will be sent off to the charities. Thank you for all the support. I hope everyone saw the Thank You notes in the newsletter from both Hospice and The Angel Network. Due to too much going on and my senior moments last night, I an unable to put a name with all the quilts. If you gave me one would you please send me an email and a brief description of it, so I can put a name with the picture I will be taking for the bulletin board at the quilt show. 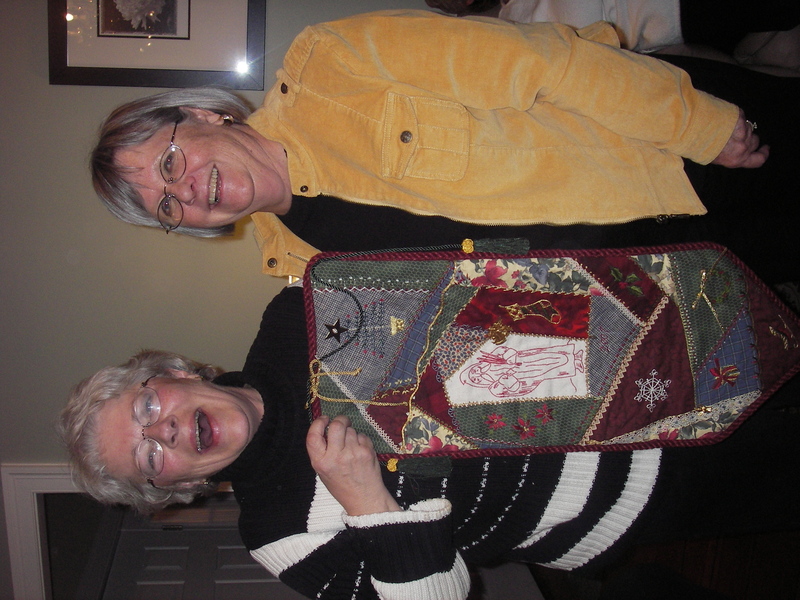 ‘STITCHES AROUND THE WORLD’ is the theme of a quilt show from Ellis County, TX. 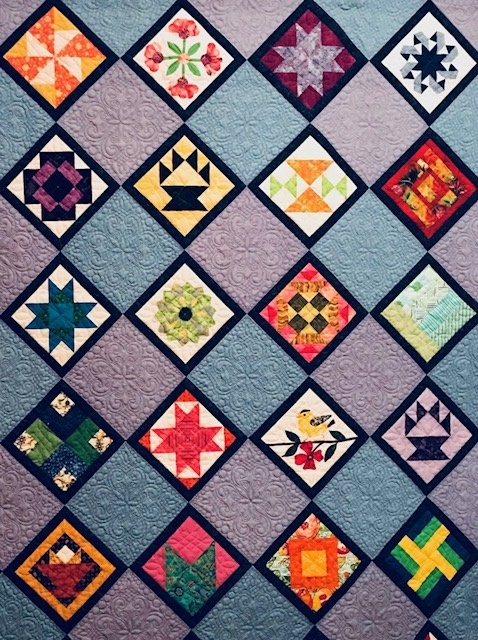 In their hope of involving many other guilds, they invite us to send an 8″ square (before Feb 25) to be included in a quilt they will display next July. If any group or individual (former Texan maybe?) from MVQ is willing to make a block to represent us, please contact Andrea Bursaw. This entry was posted in MVQ and tagged Ellis County, Stitches Around the World, Tx. Fabric has generously been donated for use in our charity quilts. I will be cutting it into 1/2 yard pieces and it will be at the Charity table at the January meeting. Anyone interested is welcome to take some for use in their charity quilt. Is there anyone that is interested in getting together to work on charity quilts? If so please let me know. This entry was posted in Comfort Quilt Project, MVQ. The Annual Christmas Party Meeting was held on a crisp, cold December 3rd evening. the season, many chose to come in red to show their holiday spirit. reported to Ginny Platt if any corrections are needed. be on the blog when the dates are confirmed. check out the blog at: https://mvquilters.wordpress.com/ for details. A brief Show and Tell followed, but no photographers were available. tunes and some wonderful, sassy oldies. Meeting was adjourned approximately 9:15pm after a bit of a sing along. Pat Gandt, a former MVQ member and good friend to many of us in the Guild died on December 11, 2009 after a 5 year battle with Breast cancer. She will be remembered for her utter joy of life! Wake will be on Monday from 3 to 8 at Campbell’s in Beverly- next to Shore Country Day School. Funeral will be Tuesday at 10 at St Rose in Topsfield.